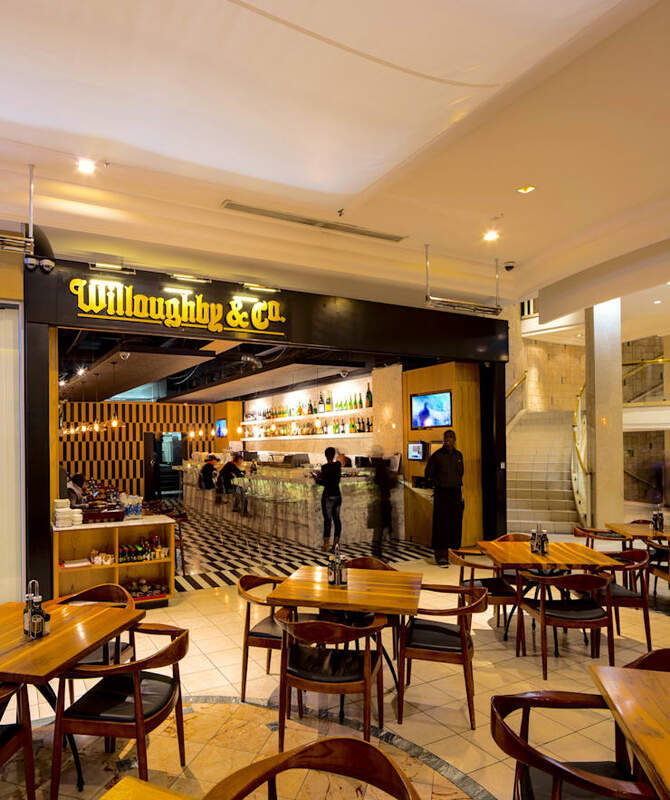 Premiere Design Studio designs and builds new Willoughby's & Co.
Willoughby's & Co contacted Premiere Design Studio to take their existing upmarket restaurant in Hyde Park Shopping Centre and give it a new fresh look with a more efficient layout that improved productivity and client service. Premiere Design Studio went for a slightly Asian look with a bit of a classic slant and used inspiration from the type of menu offered and the type of clients that frequented the venue. The challenge was to connect the two spaces of the restaurant that sit across the main walkway from each other. This was solved by using a matching aesthetic in the two spaces and a floor finish that connected the two spaces. Perhaps the biggest challenge came when we got ton the construction phase. 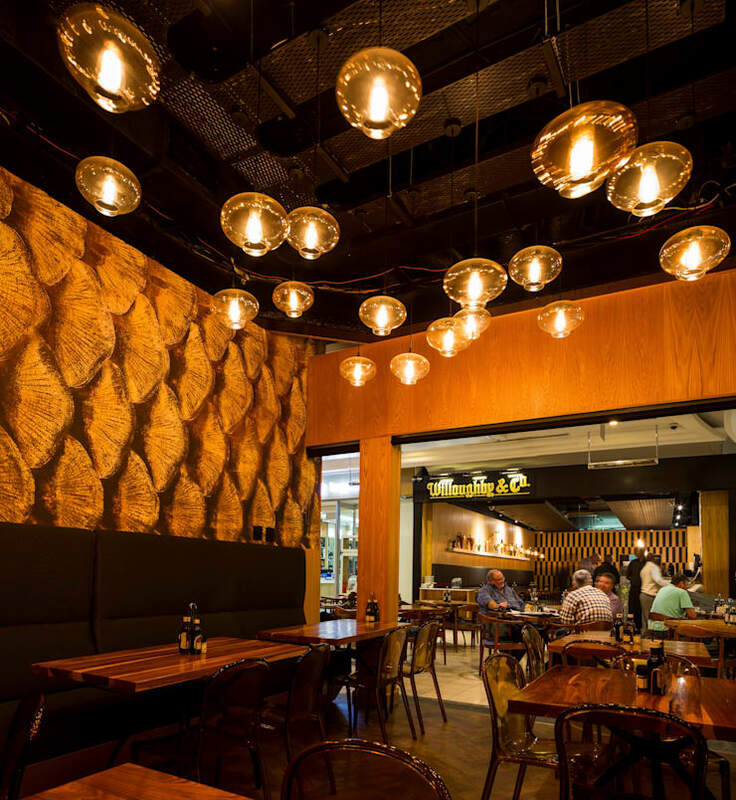 The restaurant had to continue trading while we did the interior build. that coupled with the shopping centres strict noise policy made it a nice challenge with allot of after hours work. In all the final product is great, with a happy client, and staff and of course happy patrons. Premiere Design Studio specialises in Interior Design and Strategic Space Planning for all environments where humans interact.